Reveries of Reform is the sixth album by the Swedish group Reform. 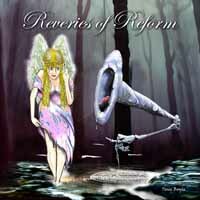 Reveries of Reform is a blend of jazz and psychedelic rock with some EAM. Except for the group's core unit consisting of five people (Jesper Bergman electric bass and vocals, Peter Åkerberg electric guitar and assorted keyboards, Anders Bergman drums, Magnus Ramel keyboards and Mattias Lennestig keyboards) a great deal of other musicians and composers have contributed to the album. Among those Bill Öhrström, Åke Eriksson, Per Tjernberg and Ralph Lundsten.